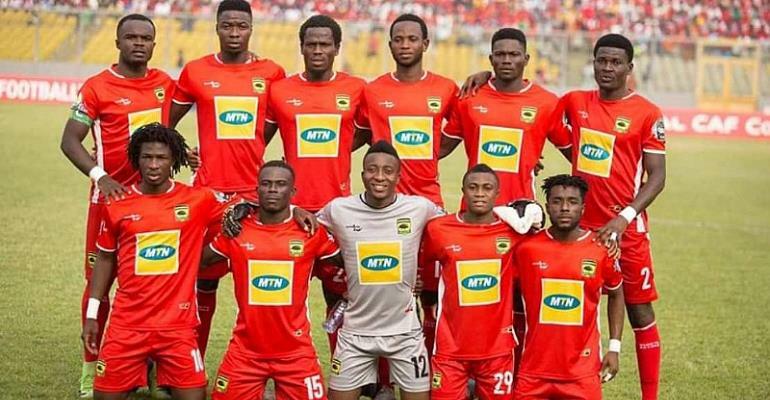 Ghana Premier League giants, Kumasi Asante Kotoko is targeting winning the Ghana Football Association (GFA) Normalization Committee (NC) Special Competition to compensate their fans for their support following their crushing out of the CAF Confederations Cup. The Porcupine Warriors narrowly missed out on progressing to the quarter finals of this year’s CAF second tier competition after engaging in a fiercely contested group with some of the best teams on the continent. Speaking at the launch of the NC’s Special Competition on Monday 25th March 2019, Greater Accra Representative of Kotoko, Nana Kwame Dankwah stressed that they want to win the virgin competition to compensate their fans for their enormous support. “I earlier told you that we could have done better than what we did and so we believe that with this competition we have to win this competition to at least compensate our supporters. We just have to go back to Africa and we need to win one of this competition to go back to Africa”, he said. The competition is set to commence this weekend with the Kumasi based side expected to open their campaign against former League Champions Aduana Stars. The match will be played on Sunday March 31, 2019 but match venue and kickoff time is yet to be confirmed.